Our corporate rentals in Golden are ideal for business travelers, executives, vacationers, and those in need of quality temporary housing in Golden Colorado. 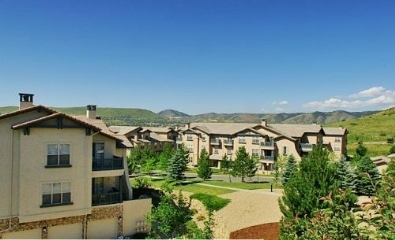 We have a large selection of furnished apartments, condos, and homes for rent in Golden, Lakewood, Jefferson County, Boulder County and the surrounding areas. We provide corporate apartments and furnished temporary housing close to NREL, the National Renewable Energy Laboratories. Our furnished apartments are ideal housing for NREL visitors, contract workers, and those on government assignment in Golden Colorado working for NREL as well as other major corporate locations in Golden Colorado. You will find our corporate apartments in Golden to offer more value and more space than other accommodations in Golden CO.
Our furnished apartments and executive rental homes are a comfortable and affordable alternative to hotels and extended stay hotels in Golden Colorado. They provide and excellent temporary housing solution for a wide range of needs. If you are in between homes, have temporary work or contract assignment, in need of government housing, insurance housing, or just vacationing, our corporate rentals will make you feel at home in Golden! Fully furnished, tastefully decorated spacious homes and corporate apartments in Golden CO.
Relocation Services in Golden Colorado.